Healthy boundaries don't just work for humans. They're necessary for pets as well. 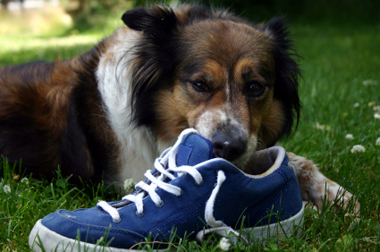 So, what do you do if your puppy has a penchant for chewing on shoes, or your cat refuses to use his or her litter box? Many dogs that end up in animal shelters are there because their former owners were unable to manage their behavior. While this is a worst-case scenario, a more common truth is that a lack of obedience training is a cause of frustration for many dog owners and their dogs. No matter if it's an issue of destruction, aggression, or innocent disobedience, the result is the same—a dog owner who's at his or her wit's end, and a dog that's feeling unfulfilled. Dogs are pack animals, so they require a consistent leader for them to truly thrive. As an owner, becoming the pack leader is your main duty. Your second duty would be to ensure an environment that's conducive to pack lifestyle. While many dog owners are not born with these skills, learning them is a different story. That's where obedience training comes in. At Dallas Highway Animal Hospital, we proudly support the work of Bark Busters. Founded in 1989 by respected dog trainers, Sylvia and Danny Wilson, Bark Busters has offices in 40 states and more than 400 franchise locations. Their training methods are not just natural and holistic, but they are also humane. Based on understanding the psyche of dogs, as well as their pack mentality, Bark Busters techniques are tried, true, and easily taught. Other reputable dog training facilities include Educating Rover and Lost Mountain Dog Training, LLC. Anxiety can be an issue for many pets, especially on days like the 4th of July or when traveling. But for some pets, anxiety can be triggered by less obvious situations, such as the addition of another pet to the household. Whatever the case, there are instances when behavior medications can be effectively used to relieve your pet's anxiety, as well as their travel-related motion sickness. Many times these medications will only be administered for a predetermined period of time. The bottom line is they are another option for you and your vet to consider. For more information about pet obedience training or behavior medications, feel free to contact us today.